An Aer Lingus plane has struck a concrete pillar in San Francisco International Airport overnight. The flight, which left Dublin at 12.30pm yesterday, was being towed to its arrival gate when the accident happened. Nobody was injured but the Airbus A330 sustained some damage and the scheduled return flight to Dublin was cancelled. The incident happened around shortly after 3pm local time. An airport spokesman confirmed to local media that a tractor operator had apparently misjudged the distance. Passengers were required to sit on the plane for close to an hour while ground staff and safety crews assessed the situation. It eventually was towed the rest of the way to its arrival gate. 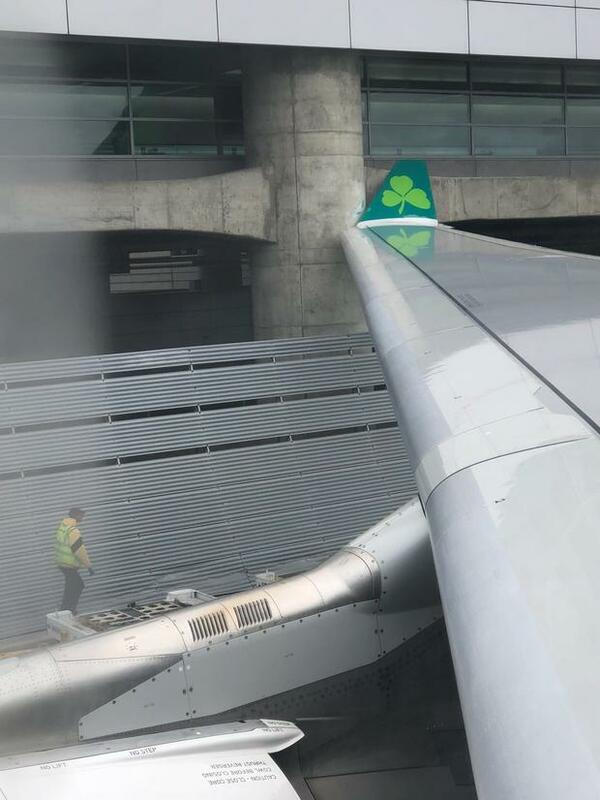 An Aer Lingus spokeswoman told Independent.ie: "Aer Lingus can confirm that while EI147, arriving in San Francisco airport from Dublin, was being towed to its stand by the ground handling agent, the winglet of the aircraft touched the airport terminal building. "Some minor damage was caused to the winglet. None of the guests or crew aboard the aircraft were injured. "Regrettably, Aer Lingus has cancelled EI146from San Francisco to Dublin today, while a full investigation into the incident is underway. Guests will be accommodated on an alternative flight, details of which to follow. "Aer Lingus apologises for the inconvenience caused to impacted guests."